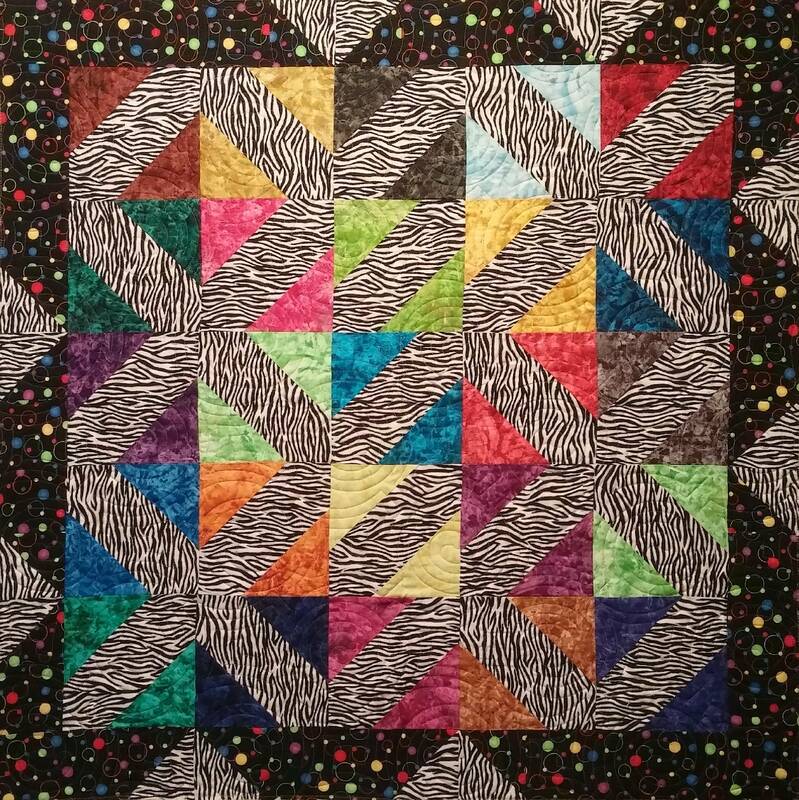 Road to Redemption is the first quilt in the Strips, Stripes and Strata Series. It’s a 60” x 60” quilt made with stripes. Stress free, fun and quick quilt project. The block is 6” finished. 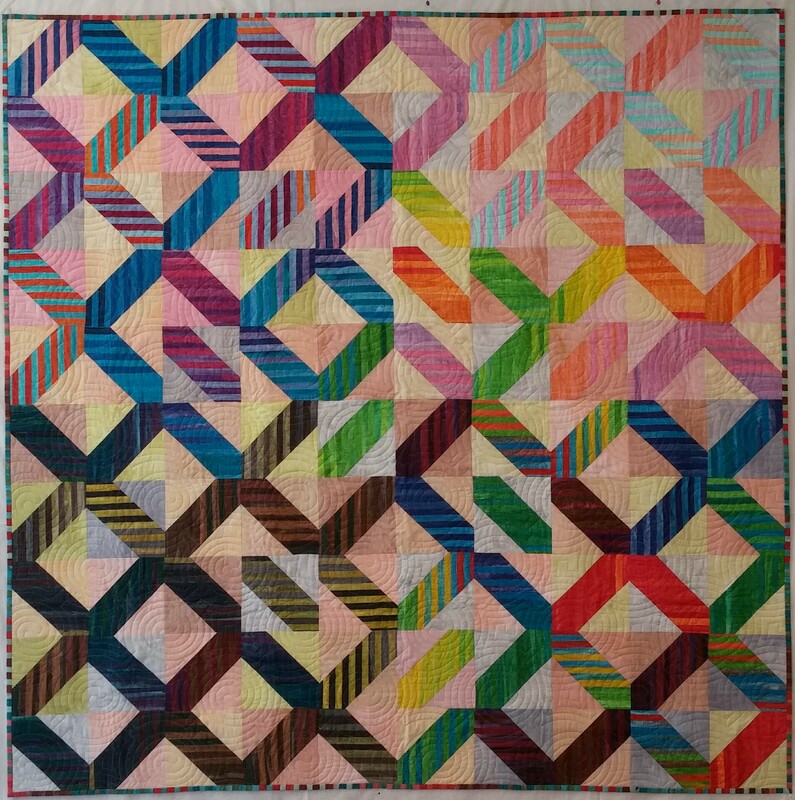 To complete a quarter of the quilt (25 blocks) you will need 1 yard of stripe fabric or (25) 6½” squares. If you have continous yardage, you will need about 3 yards or slightly more to make the entire quilt, (100) 6½” squares. Special Tool Needed: Angle Trim Tool.